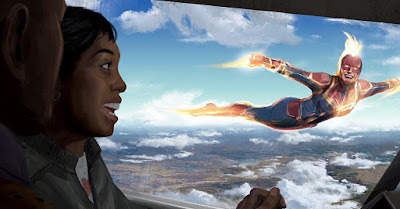 Check out Captain Marvel concept art by Jackson Sze! Captain Marvel is close to joining the "billion-dollar-club" of Marvel Studios films. It's an amazing achievement and a lot of its success comes from its breathtaking visuals. That takes a talented team of artists and several have shared early artwork on social media. One of those skilled artists is Jackson Sze. Jackson Sze is a professional concept artist who's worked on big budget movies like Ant-Man (2015), Thor: Ragnarok (2017), and Guardians of the Galaxy (2014). "This is an early take on where Vers would convene with the Supreme Intelligence on Hala," Sze said on Instagram. "Back then we were exploring grand arenas and Andy Park came up with the idea of using fluids as their technology medium." 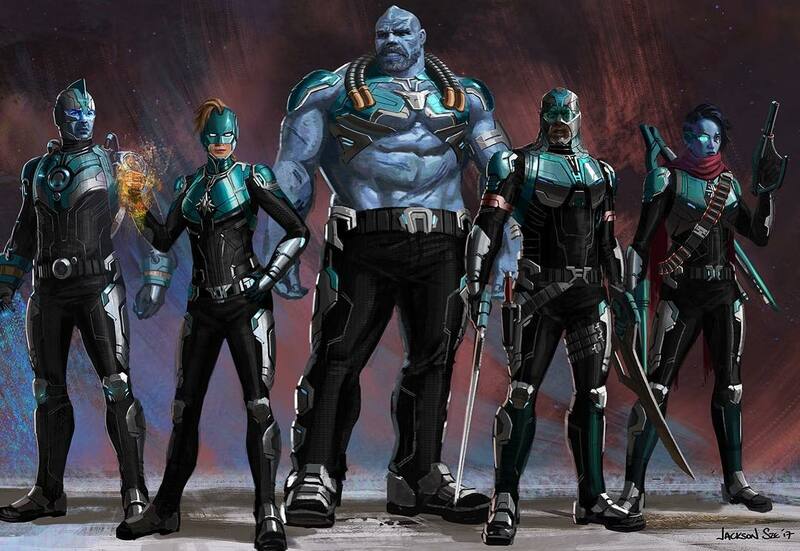 "This is my take on the Starforce team using Andy Park in progress Starforce Vers design as a guide," Sze said. "It’s fun to form a team, giving them different skills, expertise, and designs. I’ll break these out individually in later posts to share some of my thoughts when designing them." "Trying to imagine the joy Carol experiences when she uses her powers to the fullest and discovering she can fly!" "I did this painting of Talos (final design by Ian Joyner) to set the mood and explore his personality," he said. "The [second] image is one of my takes on the character. 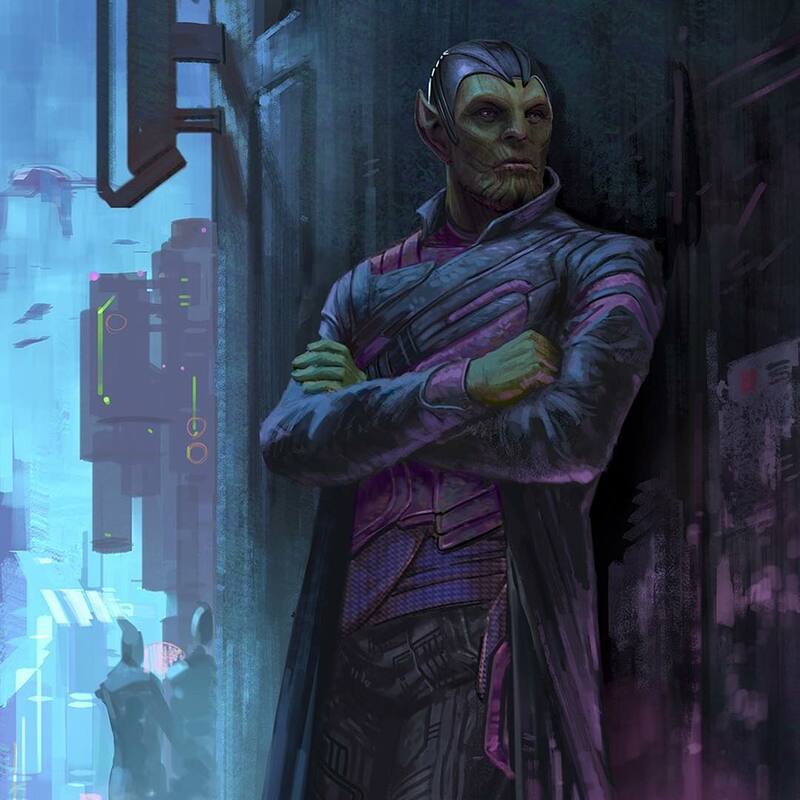 Talos was described to us as a Skrull spy. I thought since young Nick Fury would interact with Talos, he would come to see Talos as the ultimate spy and model his own look after him. "Basically, Talos would be the inspiration for Fury’s iconic trench coat look. A little bit of design reverse engineering. It is not MCU canon but my own reason for Talos having a trench coat." "A lot of the keyframes I do Marvel Studios involve characters resolving their differences with punches," he said about the above illustration. 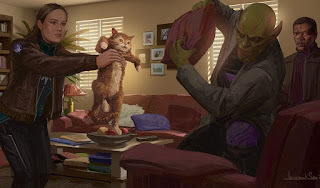 "But sometimes I get to paint a cat freaking out an alien"
"For this keyframe, I drew inspiration from the anime I grew up with," Sze added. 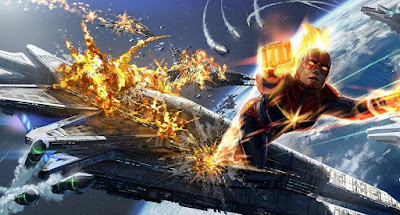 "Painting her path of destruction through a space armada is one of the funnest things I got to work on Marvel Studios." You can see more of the amazing artwork on this film from the official artbook Marvel's Captain Marvel: The Art of the Movie now available on Amazon. Check it out! 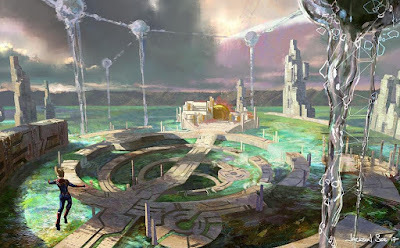 Click on the links if you want to see more of Jackson Sze's work or Captain Marvel artwork on my blog. Official synopsis: "Set in the 1990s, Marvel Studios' "Captain Marvel" is an all-new adventure from a previously unseen period in the history of the Marvel Cinematic Universe that follows the journey of Carol Danvers as she becomes one of the universe’s most powerful heroes. 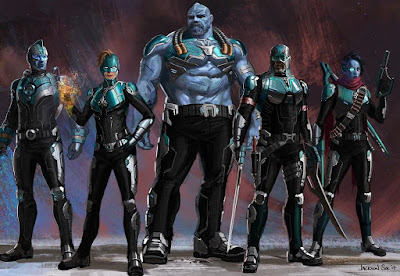 While a galactic war between two alien races reaches Earth, Danvers finds herself and a small cadre of allies at the center of the Maelstrom"
What do you think of the concept art? 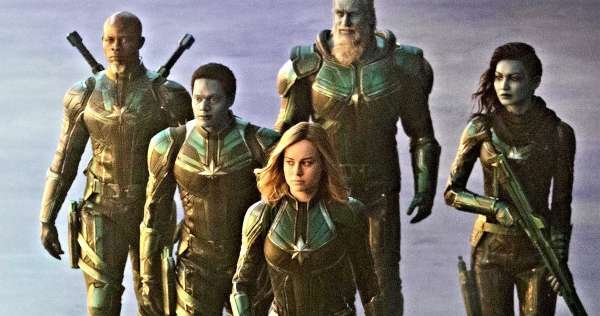 If you've seen Captain Marvel what do you think of the look? © Copyright 2019 Marvel Studios. All rights reserved.